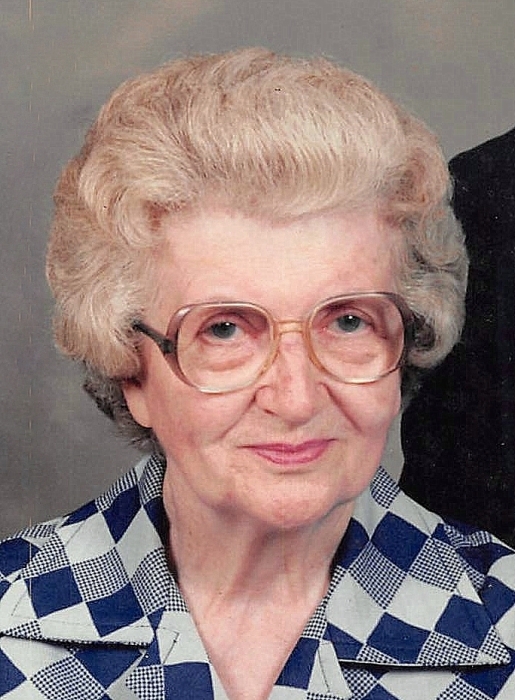 Mrs. Alma Hutto Rickborn 99, of St. George, SC died Sunday, April 7, 2019. She was born August 9, 1919 in Hilda, SC the daughter of the late Thomas Jefferson Hutto and Mary Rebecca Hutto. She married David Edward “Eddie” Rickborn on December 25, 1938, who preceded her in death on October 24, 2001. She was employed with Connoflow for 40 years starting two weeks after the company opened in August 1966 until her retirement in March 2006. She is survived by her daughters, Peggy Rickborn Peacock of Whiteville, NC, Betty Rickborn Gleaton of Reevesville, SC; grandsons, Dr. Don T. Peacock Jr. and wife, Sonya of Whiteville, NC, D. Craig Peacock of Whiteville, NC, Kyle G. Peacock and wife, Marie of Lake Waccamaw, NC, Michael Gilstrap of Lexington, SC; a granddaughter, Kristin Gleaton of Reevesville, SC; great grandchildren, Don T. “Trey” Peacock, III, Laney Peacock, Bailee Johnson, Mason Johnson, Alyssa Gilstrap, Dominic Gilstrap, and Ava Gilstrap. She was preceded in death by her husband; infant daughter, Rhonda Rickborn; parents; a grandson, Craig Gleaton, II; three brothers, James Hutto, T.J. Hutto, Jr, Russell Hutto; two sisters, Hannah Hutto Judy and Elizabeth Hutto Bobo; son-in-law, Don T. Peacock, Sr.
A graveside service will be 2:00 pm Thursday, April 11, 2019 at Old St. George Baptist Church Cemetery. Her visitation will be 6:00-8:00 pm Wednesday, April, 10, 2019 at Bryant Funeral Home.